During the first week in March of 1869, Manistee was granted a charter by the State Legislature officially making Manistee a city. After the first charter election was held on March 15 of that year, a mayor was elected as were alderman for the city’s (then) four wards. 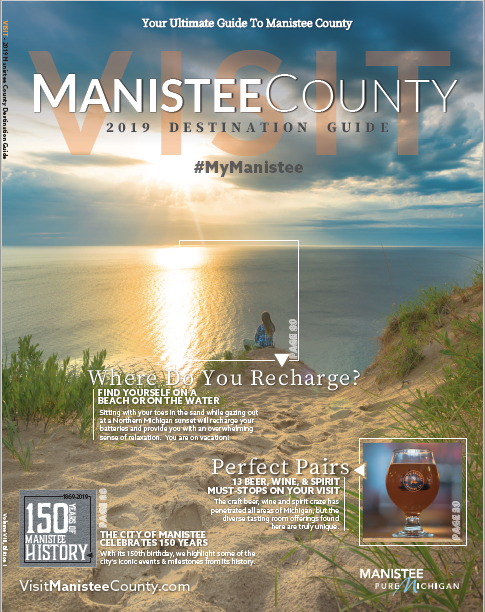 2019 marks the 150th anniversary (or sesquicentennial) of this event and to mark the celebration, the Manistee County Historical Museum, along with other area businesses and organizations, is hosting a variety of events throughout the year that will help in honoring the past 150 years. “The museum couldn’t be more excited to celebrate this special year in the city’s history,” said Mark Fedder, executive director of the Manistee County Historical Museum. “We wanted to celebrate throughout the entire year so instead of just having one big event or party, we wanted to host a number of different events that will stretch through December of 2019. We also wanted these events to be unique…not only to be educational but also honor the many different aspects of our community. When thinking about what topics to highlight, the museum decided to place emphasis on some of the aspects of the city that don’t always receive the most attention,” continued Fedder. Events will include walking tours, lectures, a picnic, a movie, a play, a trolley tour and different exhibits. “Hopefully there will be something for everyone. Most of the events will be taking place in other establishments and organizations around the city and we are very happy to be partnering with them,” said Fedder. Discover how the City of Manistee became incorporated. The Elk’s Lodge will be serving light refreshments for this event that will cover the incorporation of the city, the first city council, and the people and service organizations that contributed to the development of Manistee. Mark Fedder, Executive Director the Manistee County Historical Museum, will be providing a presentation on the aforementioned topics. After the presentation, members of the city’s service organizations will give a brief presentation on who they are and what they do. Seating is limited to 80 people. Tickets will be $20 and are available at the Manistee County Historical Museum, 425 River Street and the Elks Club Lodge. Learn about the many motion picture houses that operated in Manistee during the early 20th Century. Mark Fedder will be providing a presentation (in the Pure Michigan Theatre) that will cover how these motion picture/vaudeville houses came to be, who the people were that operated them, where they were located and what happened to them. After the 45-minute presentation stay for a special 40th anniversary screening of the classic film, “Superman:The Movie” starring Christopher Reeve, Gene Hackman, Margot Kidder, Ned Beatty and Marlon Brando. While “Superman: The Movie” was officially released in December, 1978, it did not actually play at the Vogue until April, 1979 so this screening will be the 40th anniversary of when it originally played at the Vogue! Bring the family! The lecture and film are FREE however donations to the Vogue and the museum will be accepted. Downtown Manistee is known for its beautiful Victorian architecture that creates a unique shopping experience that is complemented by the Manistee River Channel. Join us in the lobby of the Ramsdell Inn where TJ’s Pub will provide appetizers during the presentation that covers the beautiful buildings that are part of the Victorian Port City. The presentation will be followed by a walking tour of River Street. The presentation and tour will be presented by Mark Fedder, Executive Director of the Manistee County Historical Museum. Seating is limited to 40 people and tickets will be $20.00 per person and are available at TJ’s Pub and the Manistee County Historical Museum. A cash bar will also be available. Take a walking tour and learn about the history behind the homes located on Manistee’s west side. Local historian, John Perschbacher will lead the tour that will focus not only on the structures that are still standing but also on the numerous residences that have been lost over the years. The tour will begin promptly at 2 p.m. and is strictly a walking tour of the outside of the homes. Wear comfortable walking shoes! There is no cost to this event however, donations will be accepted. The tour will last 1.5 to 2 hours. While the city of Manistee’s sesquisentenial celebrates everything from 1869 onward, what was Manistee like prior to 1869? Former museum director, Steve Harold will tell us in his lecture that will cover what was happening in Manistee before the city was incorporated. There is no cost to this event however, donations will be accepted. Remember that seating is limited in the museum. A unique photo exhibit at the Manistee County Historical Museum that will explore moments from the city’s last 150 years. Curated from thousands of photographs, this exhibit will display an array of photographs pertaining to buildings and people to fires and events that all played a part in shaping the community we live in today. Take a look inside Manistee’s iconic North Pierhead Lighthouse. While the entire lighthouse will not be open for tours, local historian and former museum director, Steve Harold will be on hand to answer questions about the history of the structure as well as discuss possible future fundraising that will take place in order to restore the interior of the lighthouse. There is no cost for this event, but donations will be accepted. The Old Churches of Manistee exhibit displays archival and contemporary photographs, artifacts, and brief histories of the churches built in Manistee in its early days as a city. The show is housed alongside the Madsen Lumbering Dioramas in the Museum’s newly developed exhibit space. The Museum is open the first and second Sat. of the month July – Oct. from 11 a.m. to 2 p.m. and each Thurs. morning in July & Aug. before and after the 10 a.m. First Person Stories and Songs speakers’ series. It is also open other days by chance or by appointment; call John Hanson, 231-723-2744. Manistee has some of the most beautiful recreational opportunities in Northern Michigan. The development of these parks is rich in history and you can discover how they came to be. This presentation is for the entire family to enjoy so grab something to eat, lay a blanket on the ground or bring the lawn chairs and learn the stories behind these parks. The presentation will be provided by Mark Fedder, Executive Director of the Manistee County Historical Museum. There is no cost for this event, but donations to the museum will be accepted. Times: 5:00 p.m. & 6:00 p.m.
An often overlooked part of the city is the area that has been referred to as “Maxwelltown” for generations. This unique neighborhood is one of the most historic areas in all of the city with many buildings that have stood the test of time. Hop aboard the trolley at the Department of Transportation (180 Memorial Drive) and explore the history of Maxwelltown! There will be two trolley tours on the evening of August 21, one at 5 p.m. and one at 6:10 p.m. Seating capacity is limited to 21 people for each tour. The cost of the tour is free however, donations to the museum will be accepted. Tickets will be given out to the first people that RSVP in person at the Manistee County Historical Museum (located at 425 River Street). Take a walking tour and learn about the history behind the homes located on Manistee’s west side. Local historian, Teena Kracht will lead the tour that will begin promptly at 2 p.m. This tour is strictly a walking tour of the outside of the homes. Wear walking shoes! There is no cost to this event however, donations will be accepted. Tour will last approximately 1.5 to 2 hours. While everyone knows how lumber and salt has played an important part of the development of Manistee, this presentation will focus on the other industries and manufacturing that helped develop Manistee over the past 150 years with help from the Manistee Manufactures Council who will talk about our current manufacturers. The presentation will be provided by Mark Fedder, Executive Director of the Manistee County Historical Museum. Join us at North Channel Brewery on Monday, November 4. Seating is limited to 50 people and tickets will be $20 per person and are available at the Manistee County Historical Museum, 425 River Street. A cash bar will also be available. A joint venture between the Manistee High School Drama Club and the Manistee County Historical Museum, this dramatic interpretation of one of Manistee’s most sensational murder cases will show (and tell) the mysterious events surrounding the death of Herbert Field presumably by the hands of his business partner, George Vanderpool. Join us in rediscovering the most stirring event that took place in the city of Manistee in 1869! A special exhibit of photographs displaying the winter season in the city of Manistee over the last 150 years. Curated from the museum’s archives, this exhibit will feature photographs of buildings, people, fires and various events during the winter seasons of yesteryear. For more information on the Sesquicentennial and to purchase tickets for some of the events, contact the Manistee County Historical Museum at (231) 723-5531.